Digital Marketing Tips for Small Business: Happy Thanksgiving! 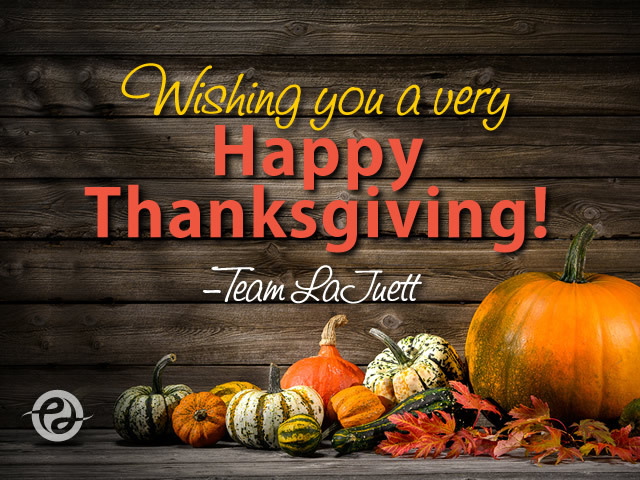 The LaJuett team would like to wish you a Happy Thanksgiving and would like to take this opportunity to extend our gratitude to our clients whom we value greatly. We hope you have a wonderful holiday weekend!